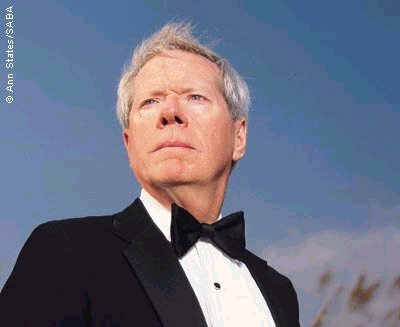 Paul Craig Roberts was Assistant Secretary of the Treasury during President Reagan’s first term. He was Associate Editor of the Wall Street Journal. He has held numerous academic appointments, including the William E. Simon Chair, Center for Strategic and International Studies, Georgetown University, and Senior Research Fellow, Hoover Institution, Stanford University. At my annual check-up, my doctor handed me a sheet explaining the reasons for office fee increases for Medicare Patients. It is worth reporting at length. Medicare fixes the prices for Medicare patients’ health care. All office charges for Medicare, including office visit charges, have been set by the Federal government since 1984. In real terms (adjusted for inflation), these fixed prices are less today than they were three decades ago. During the last four years, there have been large decreases in Medicare reimbursements for laboratory services provided in-house by private physicians. Payments for in-office blood work, for example, have been cut 35 to 47 per cent. Yet, a physician’s overhead continues to increase as a result of uncontrollable costs, such as property taxes, building insurance, electricity, maintenance, malpractice and workers compensation insurance. As one result, my doctor had to close both the x-ray unit and the state and federally licensed medical laboratory on his premises. Now patients are inconvenienced by having to go to other locations for services that formerly were provided by the doctor at lower cost. A one day medical check-up is now a multiple day event and more expensive. My doctor has more people employed doing paperwork than he does delivering health care. While Medicare payments for in-office services to private doctors, including those for blood work and x-ray units, were drastically cut, payments to outside corporate facilities for the same services were increased. It is obvious what is afoot. Corporate lobbies are using their whores in Congress to shift income from physician offices to corporate labs, corporate medical service providers, and hospitals that are owned by national corporations. Legislation that cuts payments to private physicians and increases the payments to large corporate entities is intended to destroy private practice and to create in its place corporate bureaucracies in which doctors are wage slaves. The physician’s income is diverted to shareholders, CEO bonuses, and Wall Street. Health care is being replaced with health business. As a result of the way American medicine is being reconstructed, patients will cease to have a doctor whom they know and who knows them. Important information is lost in a system of bureaucratized “health care” in which a patient sees whatever face happens to be on duty at the corporate provider. Impersonal health care thus brings a cost of its own, and its quality can be low compared to private practice. Indeed, the U.S. is creating a “health care” system that is more costly and less efficient than single-payer national health systems. But it will enrich corporations and provide play for Wall Street. It turns one’s stomach to watch libertarians and “free market economists” defend bureaucratized impersonal health care as “free market medicine.” There is no free market present. Corporate lobbies and campaign contributions use government power to create bureaucratized monopolies that destroy medicine for the practitioner and the patient. Wall Street pushes for greater shareholder earnings, which are achieved by denying care. Just as independent businesses have been destroyed by corporate chains from Wal-Mart to auto parts to fast food, medicine is being destroyed by monopoly capital. The risks of starting a private business today are many times higher than they were a half century ago. Chains have turned Americans who once were independent business men and women into employees. The fate of the health care bill demonstrates the power of private lobbies. What was to be health care for Americans was instantly transformed into 30 million new patients for the private health insurance industry. The “solution” to tens of millions of Americans being unable to afford health care is a law that requires them to purchase a private health care policy or be annually fined. As most of these uninsured Americans cannot afford to purchase a private policy, the plan is for the federal government to use taxpayers’ money to subsidize their purchase of a policy from private companies. In other words, tax money is being diverted to the pockets of private businesses. This is par for the course in “capitalist” America. In today’s America, Karl Marx’s criticisms of capitalism are understated. Wherever one looks, the scene is one of the government using taxpayers’ money to enrich private interests. Taxes are collected from people who can barely make it, and the revenues are transferred to multi-millionaires and billionaires. The federal government piles debt on the backs of heavily-burdened and dispossessed Americans in order that investment banksters can pay annual bonuses that exceed the lifetime earnings of most Americans. Every aspect of the US military has been mined for private profit. Supply and other functions for the military, such as those provided by Halliburton and Blackwater, services once provided by the military itself at low cost, have been privatized. These services now cost many multiples of the cost to taxpayers of in-house military provision. The “war on terror” enriches the armaments/security industry and enables Israeli territorial expansion. The Israel Lobby and the munitions industry are major sources of funding for U.S. political campaigns. Prisons have been privatized in order to create profits for private corporations. The prisons require high incarceration rates in order to be profitable. Consequently, “freedom and democracy” America not only has the highest incarceration rate and the highest absolute number of prisoners in the world, but also a prison population comparable in size to the prison population of Stalin’s Gulag Archipelago. Congress allows private companies run by hardline Republicans to count electronically without paper trails the votes in elections. It has been proved over and over that the electronic voting machines, with proprietary undisclosed codes, can rig any election, especially if there are no exit polls or the captured media can find a way to discredit the exit polls. And now we have private health care destroyed by the greed for profit. There are many reports of health care corporations, but not private doctors, rationing and even denying health care to policy holders in order to maximize profits. There are reports of people with treatable forms of cancer who were not told by their corporate health care providers in order to avoid the cost of their treatment. These reports are in compliance with capitalist America’s emphasis on profits uber alles, to hell with people, the environment, honor and integrity. Wall Street is romanticized by libertarians and “free market economists.” They believe, entirely on the basis of their ideology, that Wall Street finances venture capitalists who bring economic progress and higher living standards. Wall Street does no such thing, especially since financial deregulation turned Wall Street into a speculative hedge fund. Wall Street is concerned with annual bonuses. It will do anything to get them. Today the interests of American capitalists are as far removed from the interests of the population as the bureaucrats of state owned firms under socialism. Neither can fail, no matter how incompetent or inefficient, as they have the public purse as their backup. The Wall Street investment banks, which created with the compliance of the regulatory authorities and the credit rating agencies, “toxic” instruments that were sold world wide, thus destroying the prospects of people in many countries, are devoid of integrity and honor. Their only god is greed. And they control the US government, which is too dependent on campaign contributions to restore regulation. The lobbies of greed rule America. The White House, Congress, even the federal judiciary are impotent in the face of capitalist greed. The recent Supreme Court decision permitting corporations to use shareholders’ money in corporate treasuries to influence elections increases the control that corporations have over the outcome of elections and the decisions of the government of the United States. There is no government of the people, for the people, by the people, only the rule of private interests. A bill so reckless that it has to be rammed through on a partisan vote on Christmas eve. “Change you can believe in? – Obama Lied About Health Care: ‘Nobody considers that a tax increase’ – Ask The Justice Dept. And Joint Commitee on Taxation! – Paul Craig Roberts: Criminalizing Criticism of Israel. The End of Free Speech? – Paul Craig Roberts: Was the Bailout Itself a Scam? – Paul Craig Roberts: Are You Ready to Face the Facts About Israel?